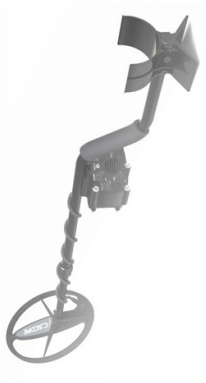 Whether you are thinking of Starting up Metal Detecting or looking to upgrade your Machine; Why not visit these metal detector manufacturers for more information on their products. C.SCOPE Metal Detectors find coins and artefacts, the buried treasures from centuries ago. METAL DETECTING is the fun hobby with a window on the past. 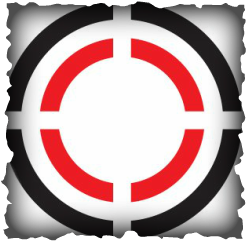 C-SCOPE metal detection technology is at the forefront of the fascinating and richly rewarding hobby of treasure hunting. 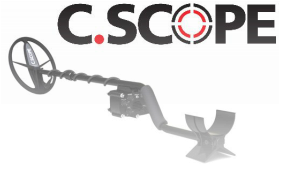 CSCOPE smart design philosophy has created a range of metal detectors for professional treasure hunters which anyone will find easy to use, even complete beginners. No other metal detector manufacturer has managed to create this perfect balance of power with usability. FIND MORE WITH C.SCOPE PROFESSIONAL METAL DETECTORS. Since its origins in 1985 Minelab has been, and still is, the world leader in providing metal detecting technologies for consumer, humanitarian demining and military needs. Through devotion to research and development and innovative design, Minelab is today a major world manufacturer of hand held metal detector products. Over the past 20 years, Minelab has introduced more innovative and practical technology than any of its competitors and has taken the metal detecting industry to new levels of excellence. Specialising in advanced electronic technologies, Minelab's competitive advantage was created early on with a highly innovative and dedicated research and development team inspired by the innovative physicist Bruce Candy. Minelab spends a higher percentage of annual revenue in research and development than any of its competitors enabling us to continue to provide cutting edge technology in metal detecting equipment. We excel in providing leading technologies and are confident that our culture of innovation and commitment to quality will ensure Minelab continues to succeed. With manufacturing, distribution and customer service operations in Australia, Europe and the United States you are always safe in the knowledge that customer care is close at hand. Minelab’s worldwide network of Authorised Dealers are able to give you the most up-to-date knowledge in products and techniques that will help you to improve your success rate in the field. Minelab products continue to set new standards in the world of metal detecting for both performance and innovation. Our engineers started with a clean slate to redefine state-of-the-art. Our modern user interfaces are easier to learn to use properly than any other high performance detectors on the market. Easier to learn means faster to master and more performance in your hands, in the field, in less time than imagined possible. The Teknetics legacy continues and we hope you will join in on the fun. Welcome to White's Electronics (UK) Ltd the only metal detector manufacturer to have plants on both sides of the Atlantic. The sales area of the Inverness, Scotland factory is the whole of the world with the exception of the two Americas - North and South, Australia and New Zealand. We have full manufacturing, assembly and service repair facilities in Inverness to cover the Hobby (Treasure), Underwater, Industrial, Security and Military markets. White's beginnings date back to the year 1950 and the uranium craze. When all the country was looking for uranium, so were Olive and Ken White, Sr. The only Geiger Counters available used headphones and Mr. White quickly learned that headphones created a problem in rattlesnake country. He invented a better product but was told his design was "impossible" by the leading Geiger Counter manufacturers. Deciding to manufacture the design himself, he and an employee built one Geiger Counter a day. The counters were well received and within seven years, White's had 65 employees. In 1958, the U.S. government announced it would no longer purchase uranium. All was not lost for this growing business, however. At the request of a former dealer in Tombstone, Arizona, Mr. White was persuaded to build a metal detector. On his first outing, the dealer found a Spanish spur, a large piece of silver, several artifacts and a few coins. This successful first outing was written up in a book with Mr. White's name and address. The year was 1959. Orders and requests for information poured in and marked the beginning of the White's we know. When Eleanor and I first began selling and marketing our metal detectors in 1964, we focused on making the best metal detectors and selling them at a fair and reasonable cost. Since that time, we have been dedicated to making sure our customers are our number one priority. The Garrett name has come to stand for more than metal detection; it is a philosophy for unparalleled customer satisfaction. While it is true that we believed then, as we do now, that our metal detectors could lead the industry in capabilities and results, we recognized early on that commitment and loyalty to our customers would be our true source of success. We have learned over the years that there is no price advantage program, special product feature or other promotional advantage that can replace a satisfied customer. We stand behind the idea that one happy customer can be more valuable than the most elaborate advertising campaign. Customer satisfaction will never go out of style and a company that is willing to provide it will always be held in high regard. Now, as Garrett moves through the 21st century, the company has set goals to empower our customers with better products, better technology and better information. Garrett's mission is to continue the tradition of building great hobby and security detectors for many generations to come. Don't Leave Home without the "Garrett PRO-POINTER"